From 6 May to 30 July 2017, Bergamo’s GAMeC – Galleria d’Arte Moderna e Contemporanea presents the exhibition Andy Warhol. 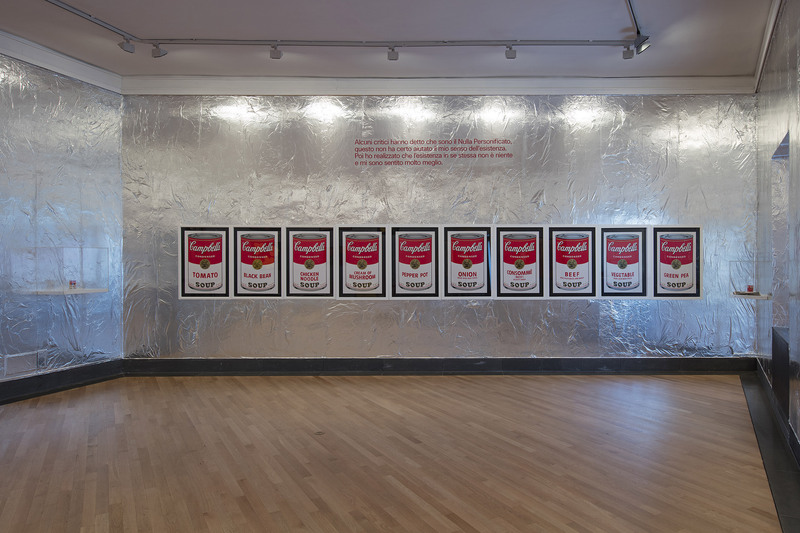 The Multiplied Work: Warhol and After Warhol, curated by Giacinto Di Pietrantonio. Unlike many exhibitions dedicated to the father of Pop Art, the GAMeC exhibition does not classify the artist’s production by topic area or production period. The aim is to reawaken the flow of vital energy that distinguished Warhol, doing so in a narrative that spotlights the very nature of his corpus: the singularity of being multiple, reproducible, enduring over time (even after the author’s death), and the ability to devise a new reading of the relationship between “unauthorized” and “authentic” – the crux of the exhibition. The four rooms in which the exhibition narrative unfolds arelined with tin foil, just like The Factory, his famous New York studio. Artworks on display showcase Warhol’s original, unique personality through his manifold creations, touching upon the various expressive fields he explored: paintings and works on paper, screen-prints, film, photography, album covers and magazines, next to personal items (the boots he wore while producing works for the historic 1980 exhibition hosted by the Lucio Amelio gallery), and photographic documents. The famous screen-prints of political figures (Lenin, Mao Zedong), artists (Joseph Beuys, Man Ray), and personalities from the world of film, music and sport (Marilyn Monroe, Mick Jagger, Cassius Clay-Muhammad Ali) are the maximum expression of multiple, reproducible, authentic art, and share wall space with a number of acetates like the Ladies and Gentlemenseries, as well as over 60 album covers (including the famed The Velvet Underground & Nico cover, the legendary banana that could be “peeled”, and the Rolling Stones’ Sticky Fingers with its jeans zipper fly), cult items, like Mick Jagger’s guitar signed by the artist and all of the band, as well as copies of the magazineInterview, one of which is signed by Warhol’s signature. There is also an emblematic extract from Warhol’s foray in films: Empire (1964), the famous slow-motion feature of New York’s Empire State Building. The mother of all skyscrapers is the star of an eight-hour narrative progressing not through a traditional description but during the transition from day to night. Still of interest to countless people – the number of YouTube views prove it – and inspiring many artists, it has justly earned the title of “multiplied work”. The exhibition narrative finishes with a series of documentary photographs which help to emphasize the uniqueness of the relationship between art and life, which Warhol saw as merged into a single entity. Visitors will be guided along the way by Warhol’s famous quotations and may admire the multiple works of great contemporary author Damien Hirst, who owes much to Warhol’s art. 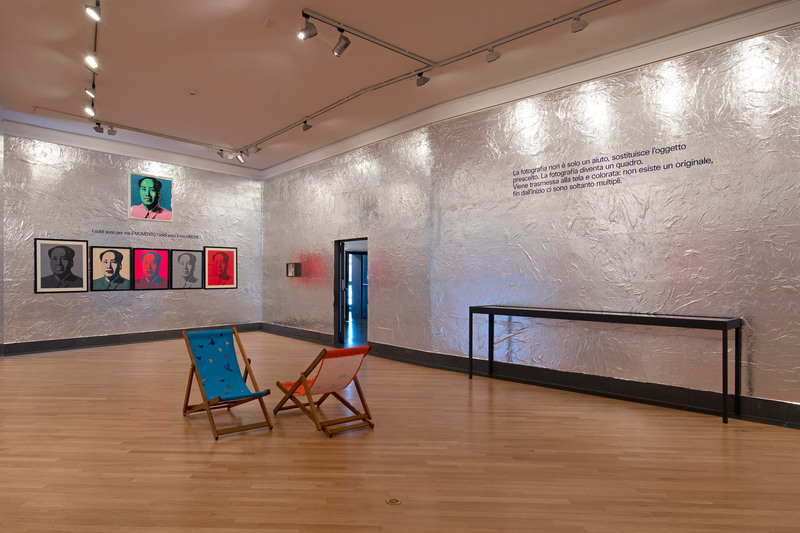 Indeed, in the exhibition rooms visitors can sit and admire exhibits on Other Criteria, the trademark deckchairs designed by Hirst, further demonstrating how art makes use of the concept of reproduction and “multiplied work” even today. The exhibition is accompanied by a catalogue, published by GAMeC Books, the cover design concept inspired by those of classic paperback novels. 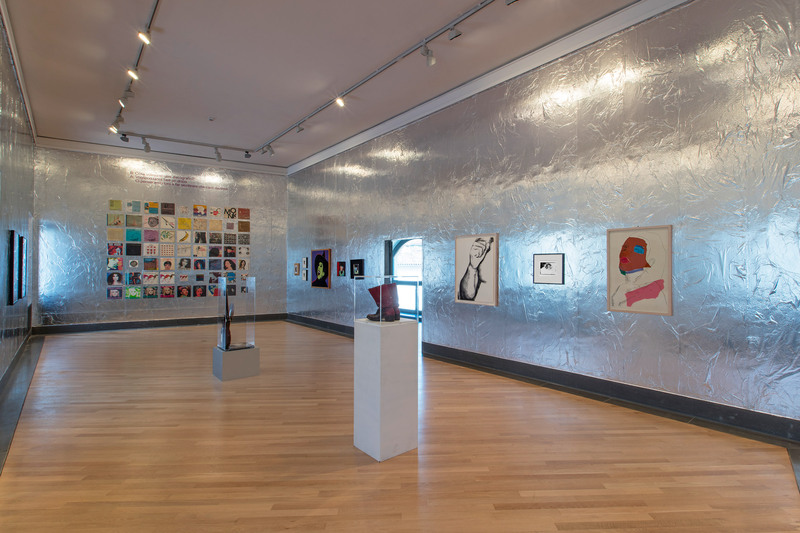 Alongside the text by the curator, Giacinto Di Pietrantonio, there is a series of brief testimonies from over sixty Italian and international artists who have exhibited at GAMeC over the years, asked to reflect on Warhol’s legacy to the art world and the field of communication. Some names: Vanessa Beecroft, Stefano Boeri, Cory Arcangel, Maurizio Cattelan, Enzo Cucchi, Jan Fabre, Alberto Garutti, Emilio Isgrò, Victor Man, Alessandro Mendini, Mimmo Paladino, Tim Rollins, Marinella Senatore, Ian Tweedy, Vedovamazzei, Sislej Xhafa, telling the alternative story of an icon and his corpus.